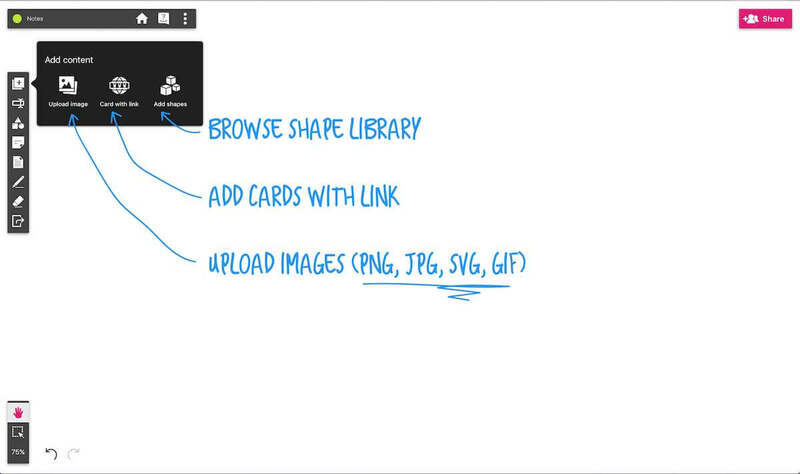 Right now, you can upload any image file to your whiteboards, including jpg, png, gif, svg etc. Once file is uploaded to canvas, you can move, rotate and resize them – just click on the image to select and edit. Alternatively, you can also drag image files into boards directly from your desktop. 2018 © Deekit Ltd. All rights reserved.